Intex 69641 - Fitted Sheet for Single Size Airbed. The all-new fitted bed covers add a touch of home for your guests or your next outdoor adventure. Ideal for mid-rise to double height beds. 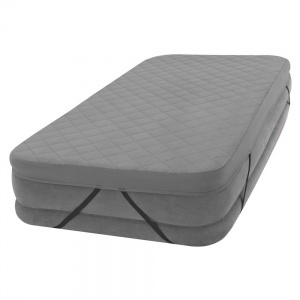 - Fits single size airbed up to 18" (46cm) high. - Dimension: 39" x 75" x 4".